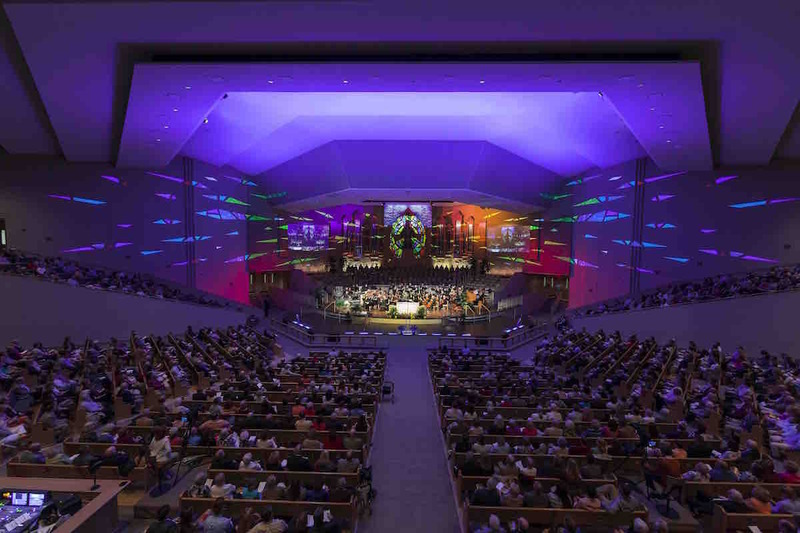 Tim Ottley, Lighting Director for Asbury United Methodist Church, Tulsa, is a great advocate of ArKaos MediaMaster PRO which he uses on an ArKaos PRO Stadium Server to create his stunning environment projection mapping within the interior of the church. Following on from the success of the Easter presentation last year, Ottley is already planning more superb visuals to enhance the upcoming Easter celebrations. 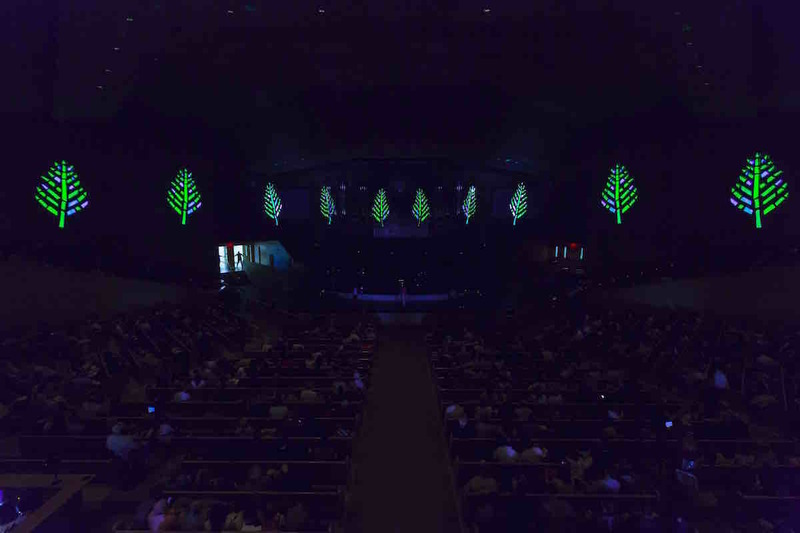 Working with a graphic designer, Jason Yang, of Invisible Element, Ottley created an animated narrative of the Easter story as an introduction to the service that followed. “Inspired by a really old film I had seen where the stained glass came to life, we decided to animate the Easter Story in stained glass,” explains Ottley, “from Palm Sunday, the Last Supper, Jesus in the garden praying, the crown of thorns, Jesus carrying the cross, the crucifixion, the tomb and finally the resurrection. Each scene was created as an individual animation by Jason, and then I created an appropriate surface for each one, using the Arkaos mapping software to shape and place each one. This allowed us to have amazing control over each image and use the maximum resolution of the projectors to allow the colour to be as vivid as possible. “The final images were enhanced by music provided by both our traditional and contemporary music departments. We also layered in the sound of glass – rather than wood – to complete the effect. The image of a stained glass Jesus carrying a cross over 100 feet of the sanctuary with the sound of scraping glass was very powerful. “The beauty of MediaMaster is that it allows you to build up sophisticated visuals by layering. I can take a single image, shape it to the projection surface for which it is destined, and then do the same with other images, layering multiple surfaces onto a single projection space to build up complex pictures. 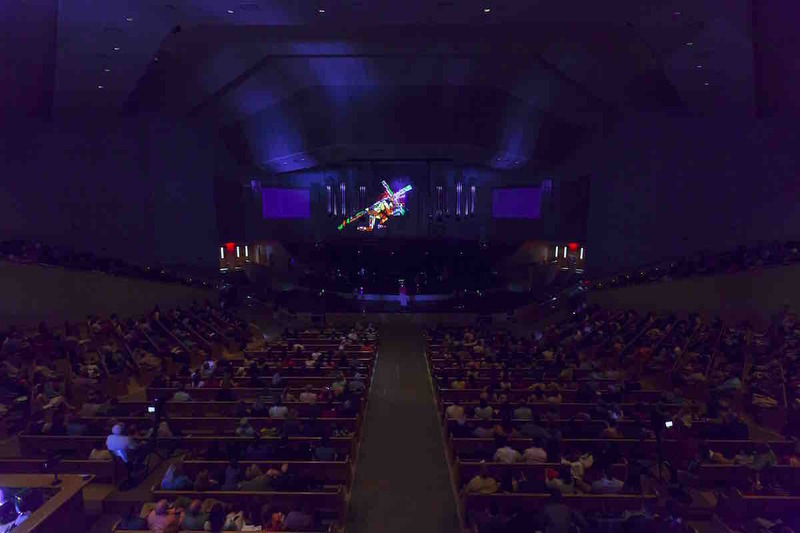 The video footage was projected through five 20,000 lumen Digital Projection projectors and Ottley was able to split some surfaces between the projectors. “It was easy to combine the surfaces and shape them to individual projection positions,” he says. 2019 © ArKaos All Rights Reserved.